From street food in Thailand to a bakery in a Syrian refugee camp to how one scientist uses state of the art pollen analysis to track the origins of honey (and also to solve cold murder cases), Christopher Kimball’s Milk Street Radio goes anywhere and everywhere to ask questions and get answers about cooking, food, culture, wine, farming, restaurants, literature, and the lives and cultures of the people who grow, produce, and create the food we eat. With a four-star cast of contributors including Sara Moulton (long-time public television host and cookbook author), Adam Gopnik (contributing writer for The New Yorker), Stephen Meuse (wine writer and expert), Dan Pashman (host of The Sporkful podcast) and host Christopher Kimball (founder of Cook’s Magazine, long-time public TV and radio host, and founder of Christopher Kimball’s Milk Street), Christopher Kimball’s Milk Street Radio made its debut on public radio on October 22, 2016. 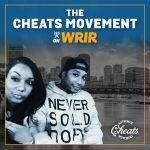 It is distributed by PRX and recorded in the studios of WGBH in Boston, Massachusetts. Christopher Kimball is the founder of Christopher Kimball’s Milk Street. 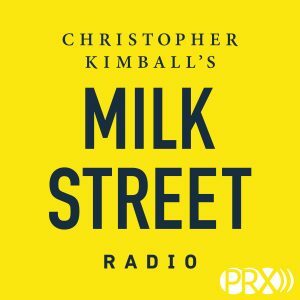 Mr. Kimball is also the host of Christopher Kimball’s Milk Street Radio, a weekly public radio show (and podcast). Christopher Kimball’s Milk Street Television will air in September 2017 on public television and will also be hosted by Christopher Kimball. Christopher also founded Cook’s Magazine in 1980 and served as publisher and editorial director through 1989. In 1993, Mr. Kimball re-launched Cook’s Magazine as Cook’s Illustrated and went on to found Cook’s Country magazine in 2004. Mr. Kimball is the author of several books including, most recently, Fannie’s Last Supper.